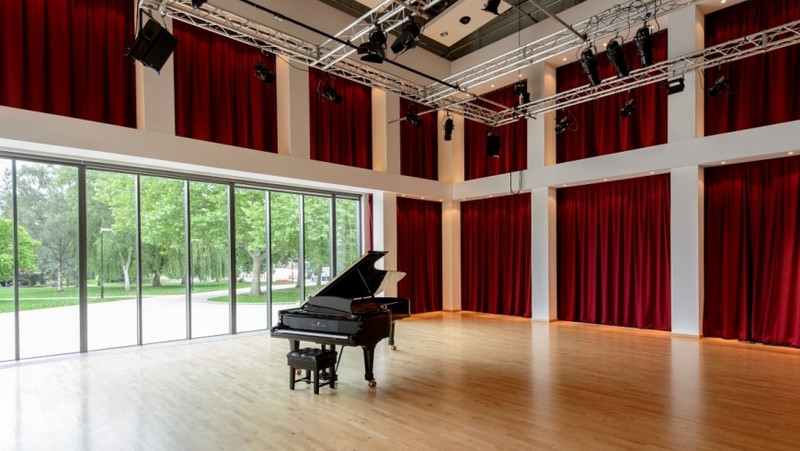 Our beautiful, flexible Helen Martin Studio can be used as a performance, workshop or meeting space, or to host your special event or party. With floor to ceiling windows, it is a bright, airy space that can also be shut off completely from the outside world to create the perfect room in which to host an intimate event. Download floor plan for access information.